a) The first month’s rent. b) A deposit is payable, in advance, and is held against dilapidations at the termination of the tenancy. 2. The deposit will be held against service and other accounts i.e. electricity, telephone, gas etc., remaining unpaid at the determination of the tenancy and further against breakage, damage or loss in or to the property or fittings therein, being fully returned on satisfactory discharge of such accounts, providing there is no breakage, damage or loss. Your deposit will be protected by the Tenant Deposit Solutions Ltd Scheme, Tel. 0871 703 0552 www.mydeposits.co.uk. The Landlord will hold the deposit during the term of the tenancy, and if there is any dispute at the end of the tenancy, the deposit is lodged with the Scheme Administrator (Tenancy Deposit Solutions Ltd) who will then act as a third part to resolve the dispute. 3. Initial costs, as outlined above, are required from the tenant before occupation and must be cleared funds in our bank account prior to the check in. 4. Rent must be paid in full by a single STANDING ORDER payment from the LEAD TENANT on the due date and a form will be given to you that you must complete and pass to your bank. 5. Service accounts i.e. Council Tax, gas, electricity, telephone and water are the direct responsibility of the tenant until the end of the tenancy. The tenant is responsible for informing the relevant authorities of the dates and meter readings at the beginning and end of the tenancy. A forwarding address must be provided at the end of the tenancy and when closing accounts you must advise your provider of your forwarding address. 6. The Agreement signed by the landlord and the tenant is binding upon both parties and it is not possible to terminate the tenancy before its expiry unless the agreement so provides. 7. In a shared tenancy all signatories to the Agreement are jointly and severally liable for payment of rent and all other matters relating to the tenants. In a sharing situation, if one of the sharers leaves the property the remainder are responsible for payment of rent in full. 8. The landlord is not obliged to demand rent and the tenants are to ensure that payments are made on the due date by standing order. 9. The Landlord will require access for viewings should the tenant give notice. Please note 2 MONTHS NOTICE IS REQUIRED. Tenants should ensure that arrangements are made for post to be forwarded when they leave a property and the landlord cannot accept responsibility for so doing. 10. A Check In and Check Out report will be carried out by a GJB Estates Representative with the tenant on occupation and vacation of the property. 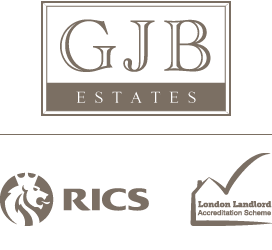 The property should be left in the same condition as it was let and GJB Estates Ltd will arrange a professional clean the cost of which will be deducted from the deposit, as well as any necessary repairs outside of normal wear and tear. The deposit will be returned by BACS Transfer within 30 days providing all final accounts are settled. THESE NOTES ARE FOR GUIDANCE ONLY AND DO NOT FORM PART OF ANY CONTRACT.